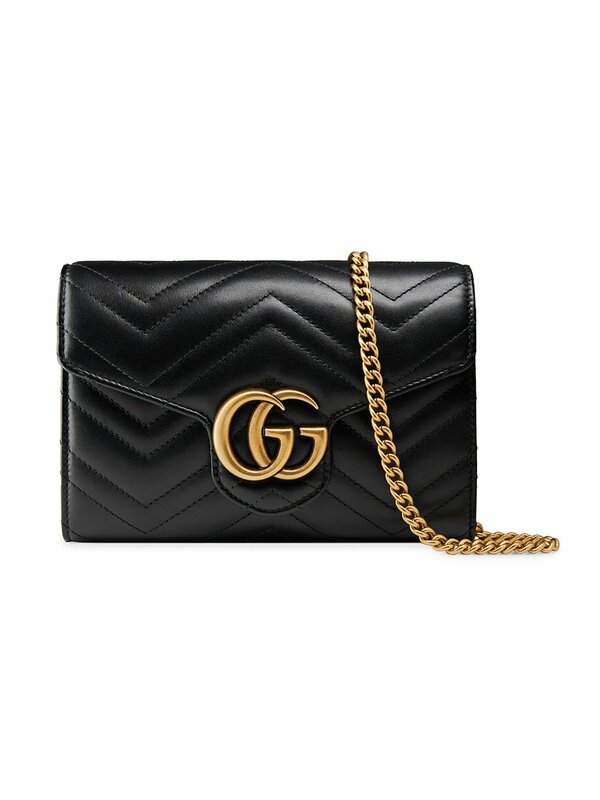 The GG Marmont chain mini bag has a softly structured shape and a flap closure with Double G hardware. 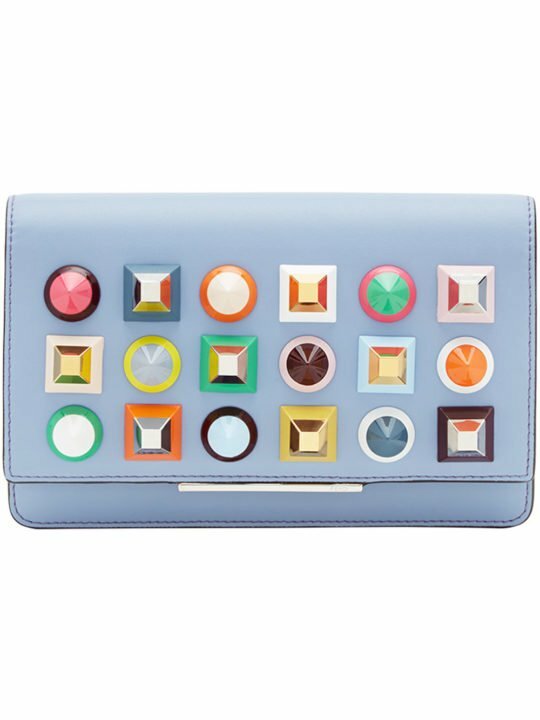 The hardware is inspired by an archival design from the ’70s. Made in matelass̩ chevron leather. 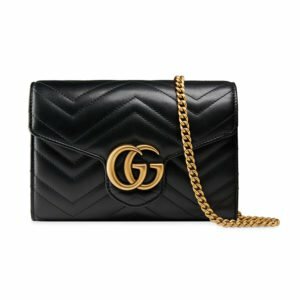 Black matelass̩ chevron leather with GG on the back. Antique gold-toned hardware. Double G. Sixteen card slots and two bill compartments. 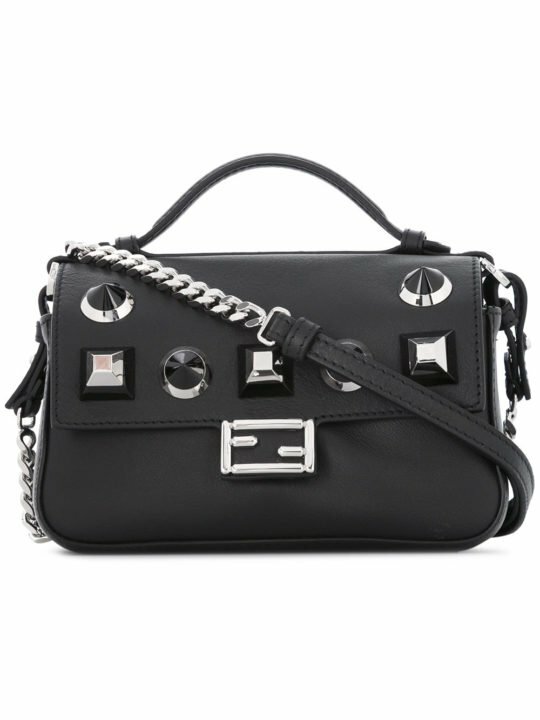 Three separate interior compartments. Zip coin pocket. 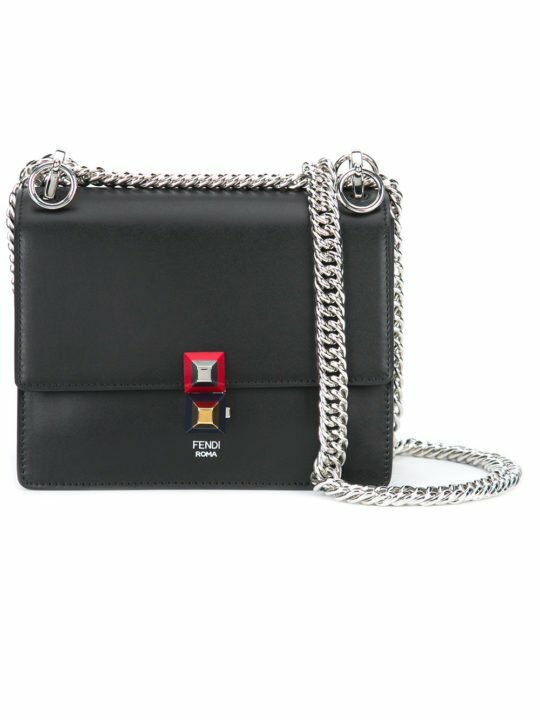 Removable chain shoulder strap with 24″. Snap closure. 8″W x 5″H x 2.5″D. Made in Italy.